I was studying for my A levels when I fell pregnant. I say ‘studying’, but in reality I was more interested in my social life and turned up at college when there was nothing better to do. I was 18 and had already dropped out once before. I didn’t tell anyone about my pregnancy, and sat my exams weeks after finding out. I failed them and couldn’t face returning with a re-sit form and a baby bump – so I dropped out, again. Fast forward a year and I was settling into life as a mum. Despite an unplanned pregnancy and an even more unplanned caesarean birth, I adjusted to parenthood well and my son was all I could have wished for. But as the months ticked by, I began to get itchy feet. 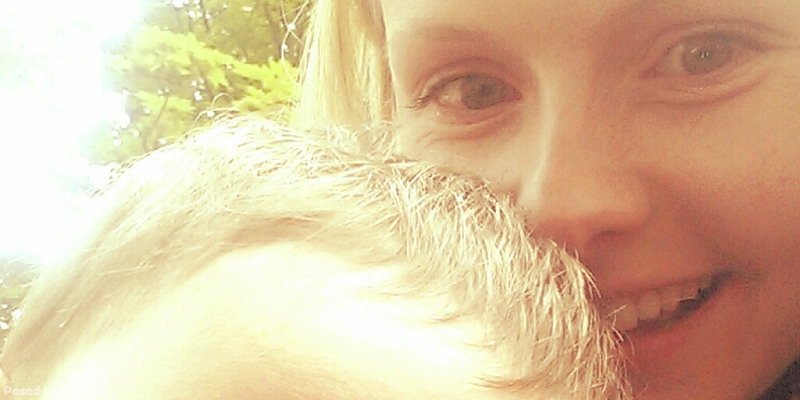 I loved my son and I loved being a mum, but I didn’t feel fulfilled. Days spent at playgroups left me craving time with adults. I decided to send off for a university prospectus and made a spur of the moment decision to give education one last shot. I set my sights on a social work degree, but needed the qualifications to get me there. I couldn’t afford childcare fees and I didn’t feel ready to leave my son at a nursery, so I enrolled on an Access to Higher Education course that ran of an evening, relying on my mum for childcare. For two years I studied as my son slept, and this time round it meant so much more to me. College became my time to be a ‘normal’ 20 year old and gave me a breather from baby talk – I even met other girls in my position and we became close friends. Once my son turned two I used my 15 hours of free childcare to take on some voluntary work. I wanted to experience what being a working mum would be like, without the commitment and pressure that comes with a career. After completing my course I gained my place at university, and in a few weeks I will begin my second year as a student social worker. I like having two parts to my life – my home life with my son and family, and a separate uni/work life which is just for me. Having that extra little piece that is my own and doesn’t have to be shared makes me feel like I’m getting the best of both worlds. But I can’t pretend that pursuing a career after young parenthood is easy. It’s hard work and sometimes overwhelming, and I’ll forever feel in debt to my mum for all the sacrifices she has made to help me achieve my goals (and all the hours of babysitting!). You know the one, when you think you’re a bad parent for doing things for yourself that don’t involve your children. For leaving them in childcare while you try to get everything done. Or even for just not being in the moment with them when you’re supposed to be playing. Sometimes, although I’m physically there, mentally I’m writing my next assignment. But despite the hard work, I’m proud that I’m working for a future that will benefit both me and my son – and I enjoy shooting down all those “your life is over” comments from when I was pregnant. And when I start to have doubts and I’m looking for motivation, I find it staring back at me with big round eyes and a cheeky smile. Share advice and tell your story with other young parents on our Community: join here and start chatting right now!